Pivot Shuttle. Trail/enduro bike with Class 1 e-assist. 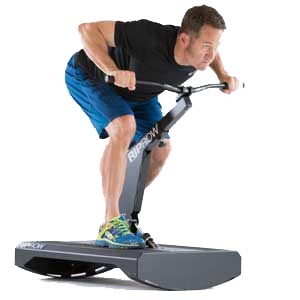 That means the motor feeds power only when you’re pedaling, and the motor power stops at 20mph or higher. Shimano STEPS E8000 motor. It has three modes: eco, trail and boost, plus a walking mode. 27.5×2.8 Minion tire in front, Rekon in back. 150mm Fox 36 Performance Elite fork, Fox Float Performance Elite DPX2 shock. DW-Link rear travel is 140mm. Shimano XT brakes and XT Di2 drivetrain, which is integrated into the motor control system. Retail price $9,999 (not an unusual price for a high end bike, but this one has a motor). Weight is reportedly 46 pounds without pedals, which makes this a very light ebike. I notice the weight when I’m loading the bike in my van, but not when I ride it. BTW: A lot of us have ridden downhill bikes that weigh more. Learn more about the Pivot Shuttle. Riding time: 10 minutes. Very short and quick, but I really wanted to try the bike. Easy dirt road climb and smooth, bermy, pumpy, jumpy descent. This downhill is very familiar to me (as a matter of fact, I used to have a top Strava time on it). 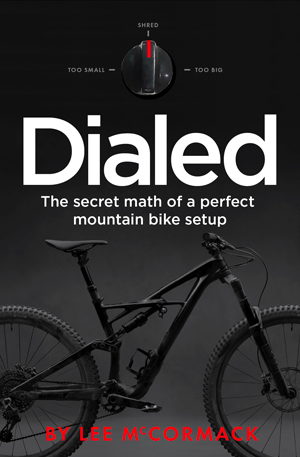 I’ve ridden it on DJ hardtails, slalom bikes, trail hardtails and trail bikes. The Shuttle instantly felt like, uh, a really nice bike. It turns and pumps and jumps very well. What I mean is, I’m carving hard, manualing easy and jumping as big as normal. The bike does not hold me back. Compared to a regular bike, the whole system feels more quiet, muted and planted. I think that’s because the motor adds weight low in the frame. Then you pedal. And the Shimano motor feeds power. Within 3-4 cycles, I learned exactly how to edge a turn and accelerate — much like rolling throttle on a moto — with just a few well-placed strokes. I carried tons of flow and speed down the hill, so much so that I kept pinging over the motor-assist speed limit. I quickly learned to keep the bike just under that speed. My heart rate was still very high, but that was more from managing fun and less from pedaling hard. The climb? Wow. At the boost motor setting, I was easily climbing at hyper speed. My heart rate was the same as normal; I was just climbing a lot faster. And that speed allowed me another lap before it got dark. Initial impression: Compared to a pedal-only bike, climbing is a whole other world, and a world that I like. Descending is just like riding a high-end bike, but more planted and, I think, faster in many places (up the 20mph line). You can, of course, sprint above 20 mph, but 20 is plenty. Riding time: 1 hour 22 minutes. This is usually over two hours. Big, steep, rocky, loose climb. Most people, including me, walk long sections of it. Equally big, fast rough, steep and technical descent. This is proper mountain biking. The climb begins smooth and mellow. I started in eco mode, which allowed me to turn a healthy cadence, rather than grind unpleasantly. I was hovering around level 2 effort, which is working but not hard. As the climb got steeper and looser, the motor helped me stay on the bike in sections where I usually walk. In the crux sections I upped the motor to trail mode. In the main toughest section, I used boost. My heart rate hit threshold, but I was able to stay on the bike and recover quickly. Back to trail mode for the rest of the climb. Last time I did this climb, it took me an hour and 10 minutes of misery. This time took 40 minutes. It was still work, but it was a lot more pleasant (and I had more juice left for the downhill). Descending the same way. Fast with lots of loose rocks and a bunch of rock rollers. Carrying full coast/pump speed, plus some pedaling. The bike felt easy, controlled and planted, yet awake and fun. In a couple tricky corners I carried way more speed than normal. I think that’s because of the tires (a 2.8 Minion is a hungry beast), the low-slung weight and an effective chassis/suspension package. I could have gone faster, but I had fun at my speed, which was fast enough. Peel off to a flattish, rocky traverse. The faster you ride this section, the funner it is. I laid down some motor-assisted pedal strokes and dove in. Braaap braaap through the corners, bap bap bap across the rocks: skimming and pumping and jumping like normal (usually on an Enduro Coil), but taking straighter lines and not worrying about the details. Again, I think the heavy frame, with its weight low down, gives you a sense of OKness. And then the main bit of gnar. This singletrack has some easy flow, but it’s mostly very steep with some interesting rock/drop/turn combos — plus exposure. While I did have the KOM on this a long while ago, I’m never in a hurry. I’m more interested in being smooth and safe. On this day, I was smooth and safe. The bike worked great. Fun in the fun parts. Controlled in the parts that need control. Totally composed in the steep rocks. Totally hooking up in the loose turns. Totally fun. When I got back to the dirt road to go out, I had time for more riding. Motor on boost, blast up the road, enjoy a short new-school DH trail, repeat. I was climbing at threshold heart rate, but something like 3X my normal speed. What fun. Curious note: While I was scrubbing speed before corners, I felt like I was using every bit of the XT brakes. That almost never happens, and it gave me an idea of, despite how controlled I felt, how freaking fast I was riding. It also indicates that, if you’re really pushing this bike, you might want some Saints. I got more than 2,500 feet of descending. At the end I felt energized rather than beat down. Impression: Holy cow, this is a fun bike. If you’re blasting a short ride, you can climb incredibly fast. If you’re doing a longer ride, you can use the motor to keep your effort reasonable (and increase your speed and range). Descending is awesome. 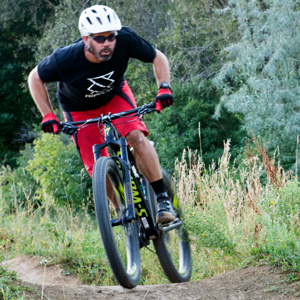 Just like a high-end mountain bike, but with a heavier, more planted feel that a lot of riders will enjoy and some will use to push harder and faster. After this ride, I was thinking: I already have some great mountain bikes. If I was going to buy something new, I’d want an ebike. Before you judge, try one. If you’re near Boulder, you can demo this bike at Sports Garage. 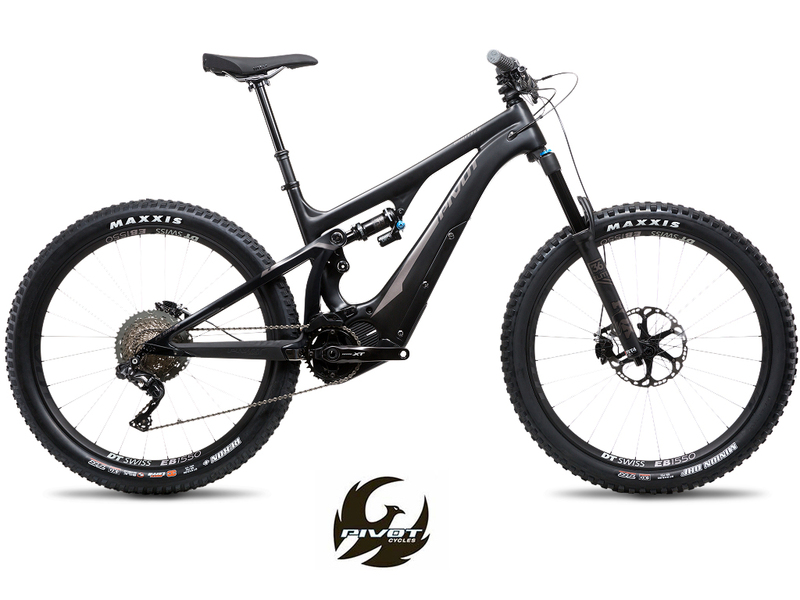 Next tests: Specialized Turbo Levo and Kenevo.